Toronto is home to a number of great buildings which we normally admire from a distance, or walk past without too much thought. 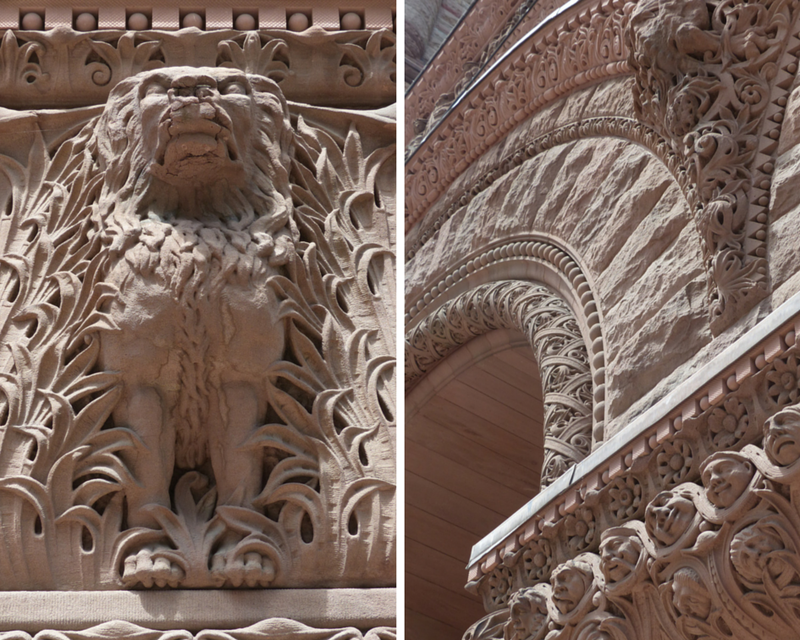 Doors Open Toronto, when more than 155 sites across the city open up their doors for anyone to come in and have a look around, is a great opportunity to explore some of these buildings which aren’t normally open to the public. 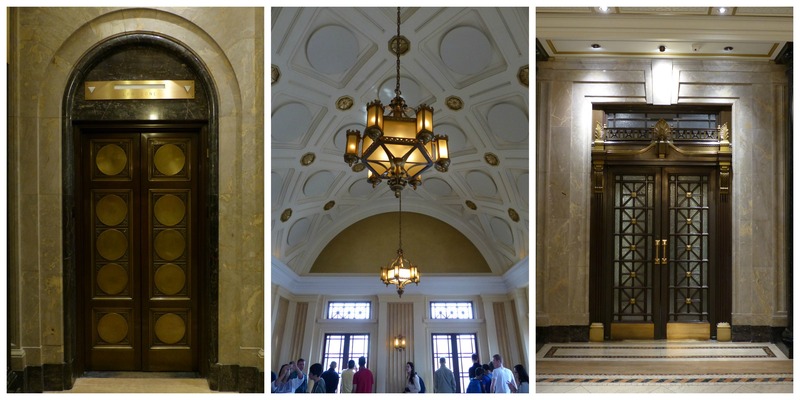 So on the recent Doors Open weekend, we checked out 7 sites, including transport, food production, the city’s administration and historic offices. Along the way we’ve allocated points, so you can really tell what we thought about each building. 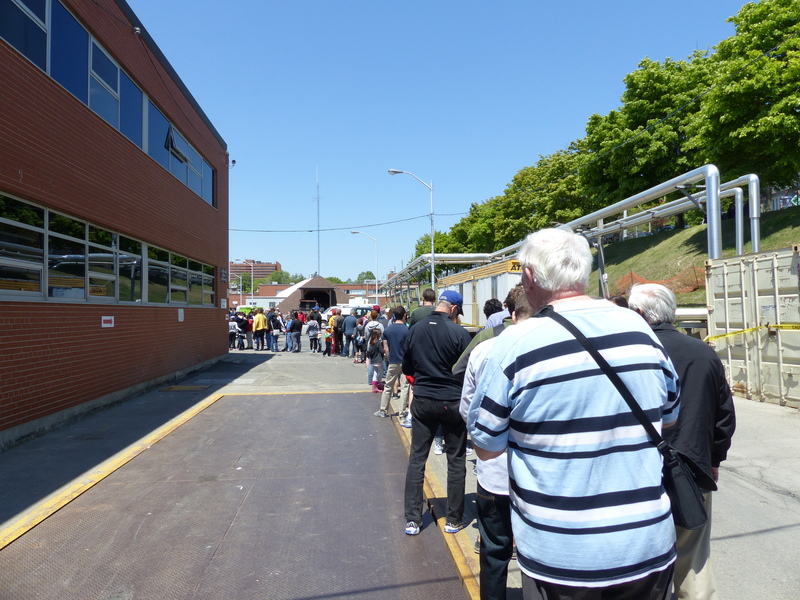 The TTC is an integral part of Toronto life, so when the opportunity arises to explore the giant yard that maintains the trains that run on the Bloor-Danforth subway line, you find hundreds of people wanting to check it out. First up was a free train ride around the yard. This promised much, but in reality was a let down. 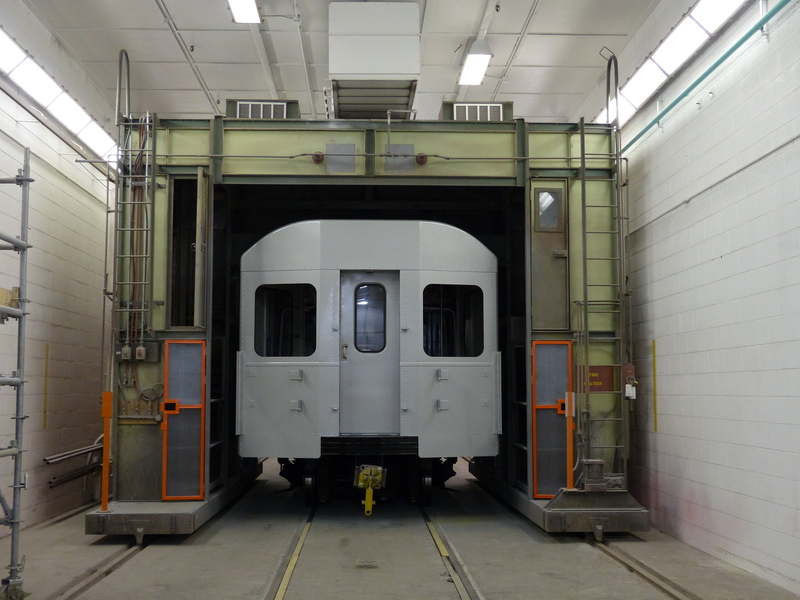 We shunted up the tracks into a tunnel, and then back past the sidings full of empty subway trains, before then driving through the facility for washing the trains. Thinking beforehand that we were going to be in a giant ‘car wash’, this never materialised though, as apparently the strong chemicals used would pose too much of a health & safety risk to the public. 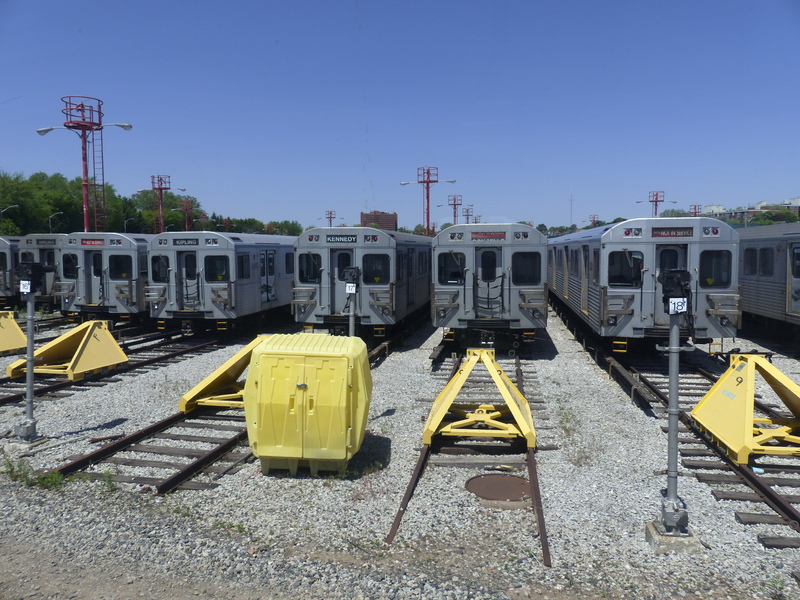 There were a lot of subway trains! All this time there was a member of staff on board. It would have been nice if they had been commentating, and giving us some facts and figures. We also got to look around the workshop where the various parts of the trains are maintained. Unless you are an engineer, an electrician or a train geek, this was a little dry, but nevertheless, fair play to the TTC for opening it up, and allowing the public to see how complex running a public transport system is. A barbecue was also available on the day. A nice touch, and helped create that community event feel. 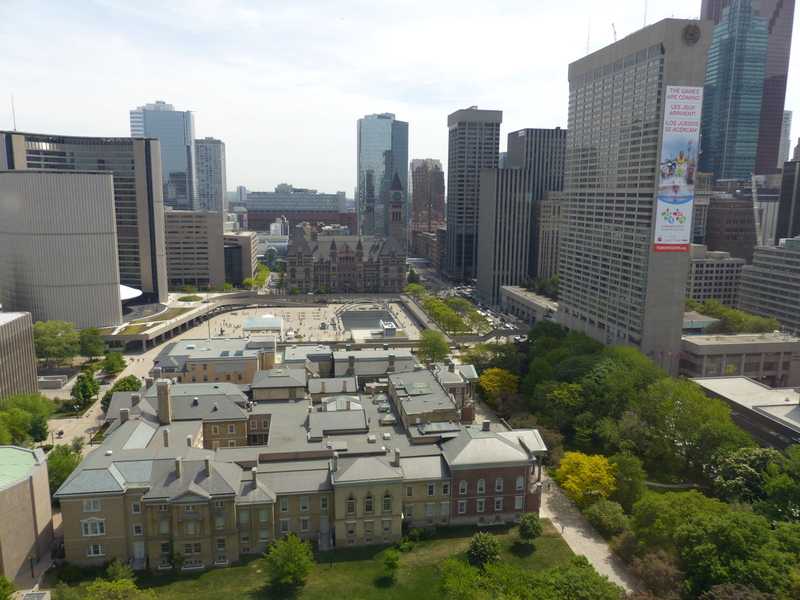 Many Torontonians are probably familiar with the Redpath site. It feels like the last piece of industry down on that central stretch of waterfront, and stands out due to the attempts of the owners to camouflage the site’s warehouse by painting a marine themed mural on its city facing side. 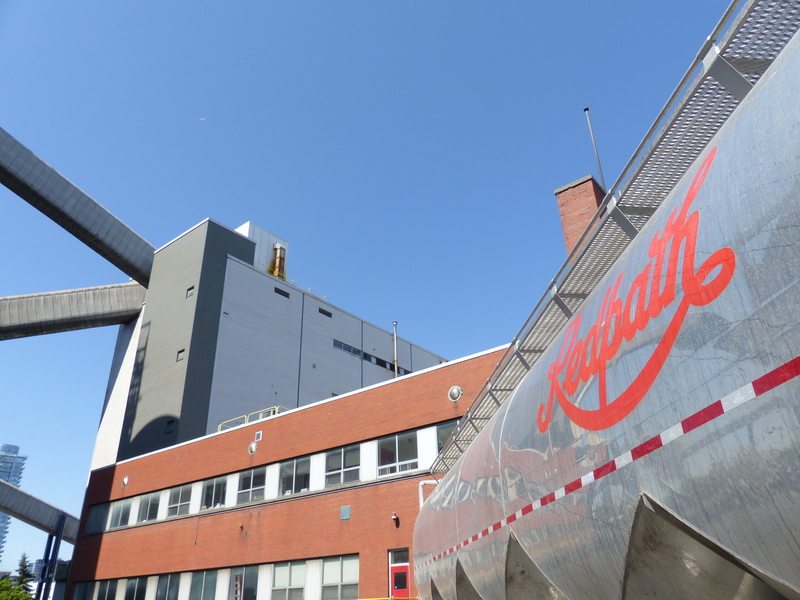 We got to go inside the museum where there are displays charting the history of sugar and Redpath, before then being ushered into a marquee to watch a video on the sugar refining process. 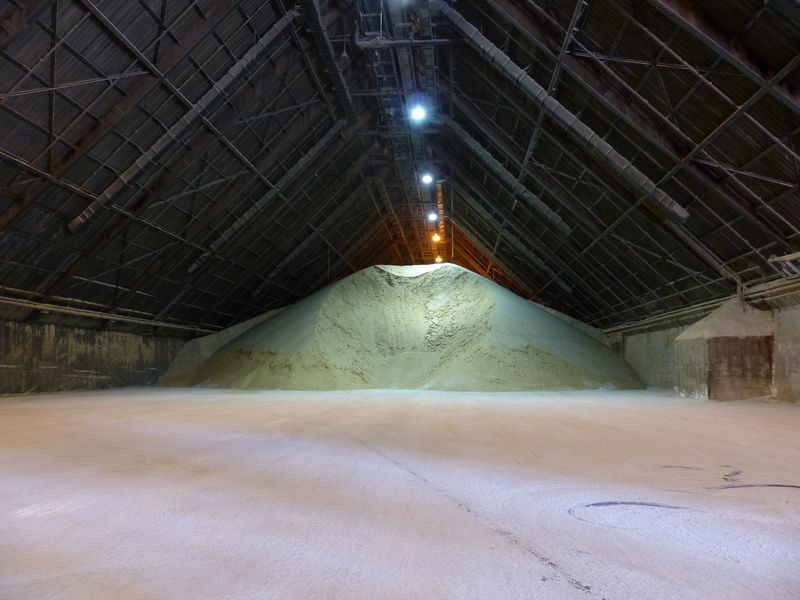 The star of the show though was gong inside the warehouse where the raw sugar, fresh from being unloaded off ships from the tropics, is stored. Here the sugar is moved around by industrial vehicles more commonly seen on building sites! Not only was the sight of a mountain of sugar impressive, but also the fact that you could literally taste and smell the sugar in the air. 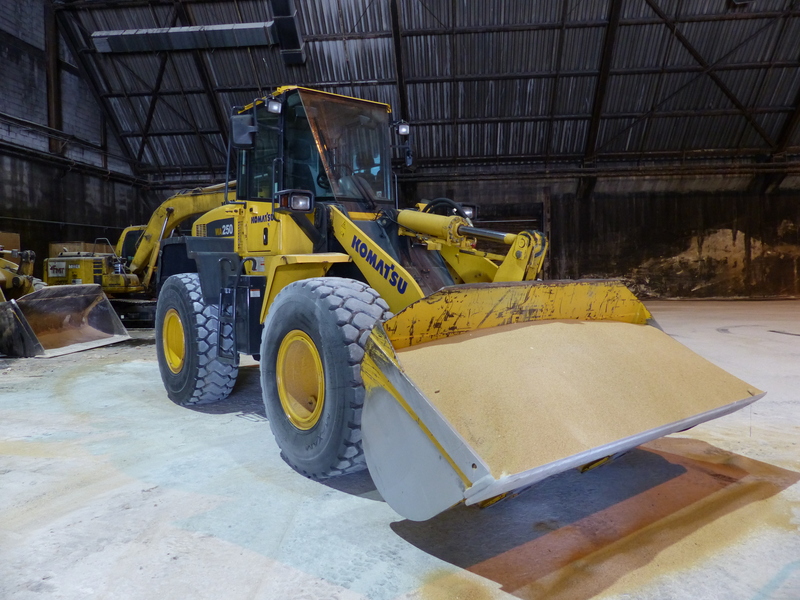 One of the vehicles you’d more commonly associate with construction rather than sugar! 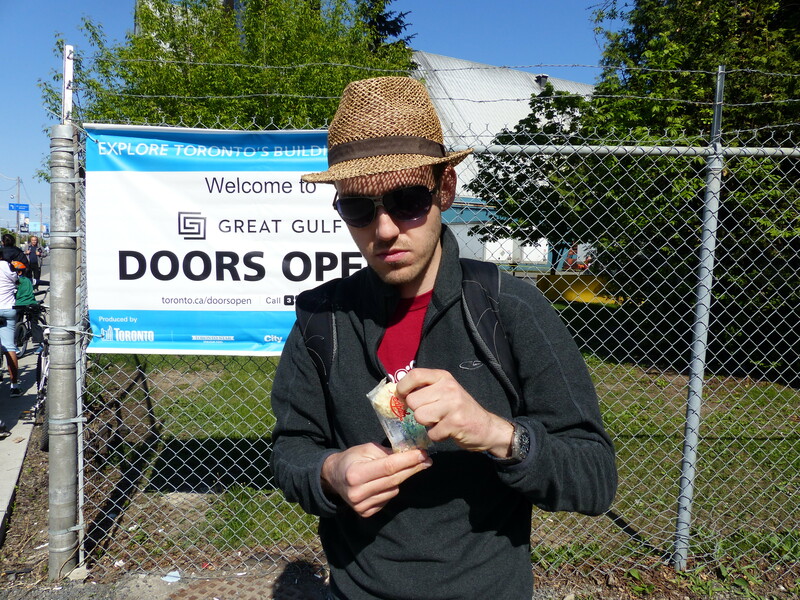 To top off the experience, Redpath also gave out free cookies made with their sugar. Stewart struggles to get into his second packet of free cookies! 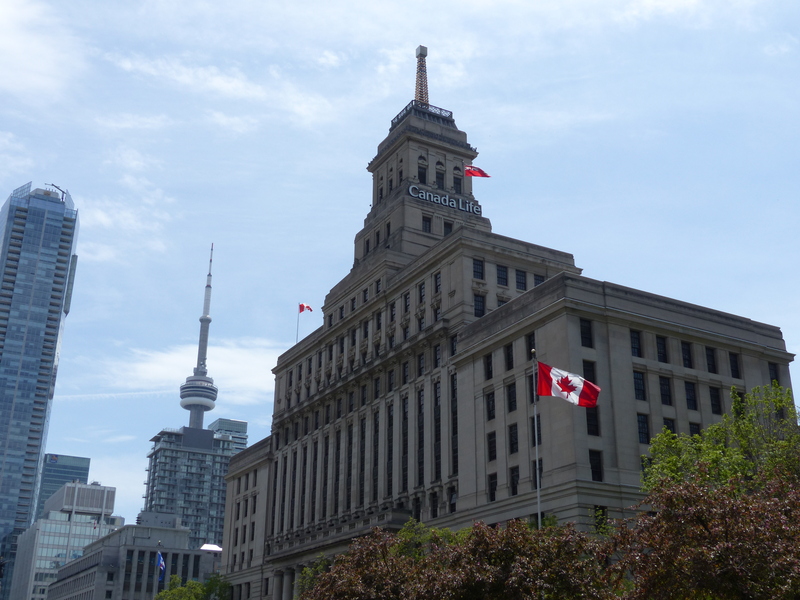 An imposing building down on University Avenue, the Canada Life Building is home to the Canada Life Assurance Company. The early 1930s construction is notable for a weather beacon on its roof, with the colour flashed through over 1,000 energy efficient bulbs used to tell Torontonians the weather forecast. When entering the building it certainly feels like you are walking into more than the offices of an insurance company, such is the grandeur. Once inside, the first thing you notice is the distinctive and striking 1930s interior. We then hopped in a lift up to the 17th floor, where we were afforded good views west, south and east of the city. We even got a little bit of talk about the building in the lift on the way up from a member of staff (TTC Greenwood Yard – take note). 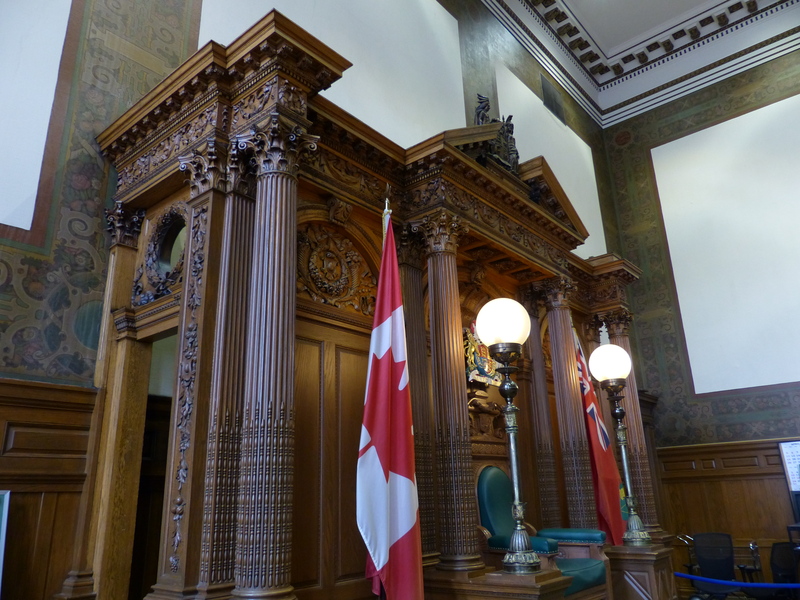 Now home to the Ontario Court of Justice, this building was once the seat of Toronto government. 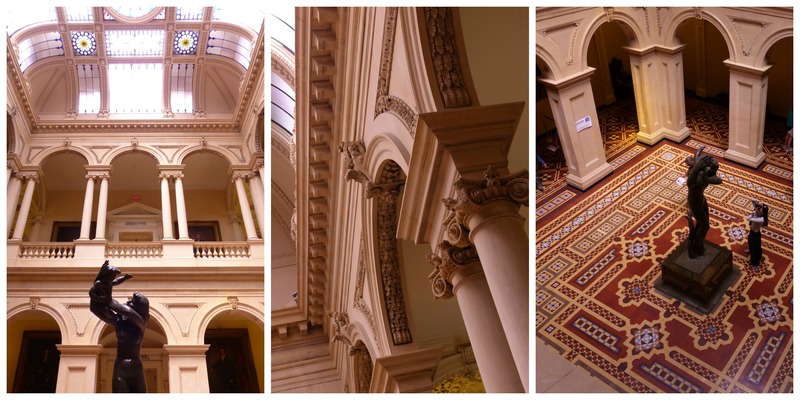 Unfortunately, due to its current role as a Courthouse, no photos of the inside are allowed. However there is still plenty to photograph on the exterior, including some intricate brickwork. We did time our visit well though, to coincide with a talk from inside the former Council Chamber on the history of the room and the building. Brown Bear points: 2.5 (loses out because of the photo thing, whilst you can look at the outside of it whenever you want). 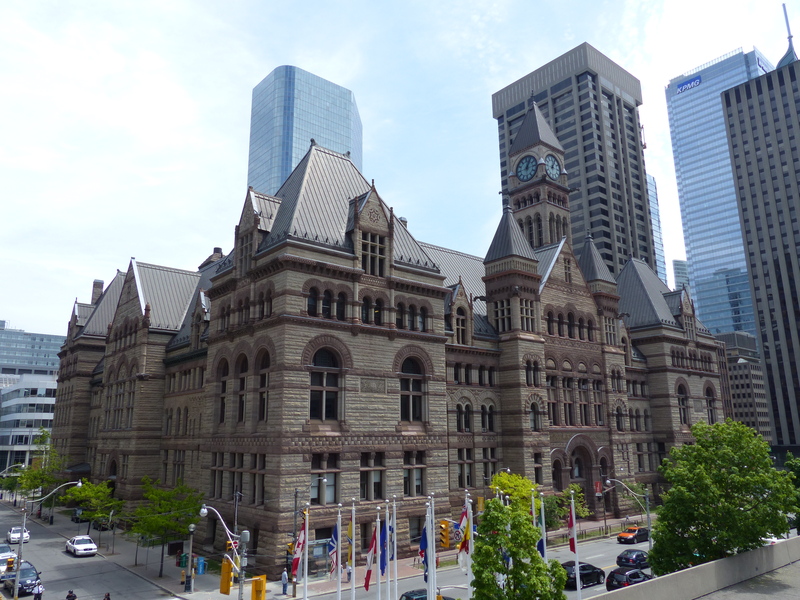 Sitting across the road from the Old City Hall is the extremely unique looking New City Hall. To me, it looks like a UFO has landed between two towers and warped them to its curves. 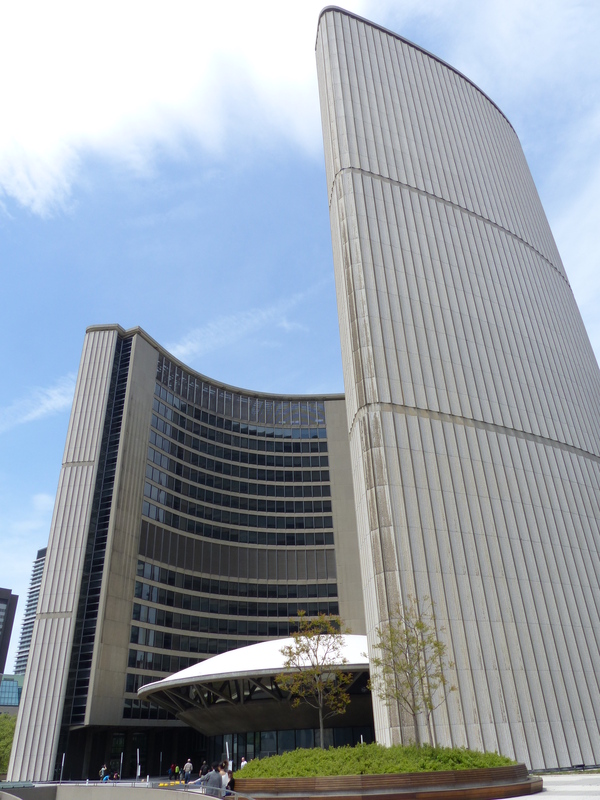 According to Wikipedia the new City Hall once appeared in an episode of Star Trek as one of the possible destinations of an alien portal! 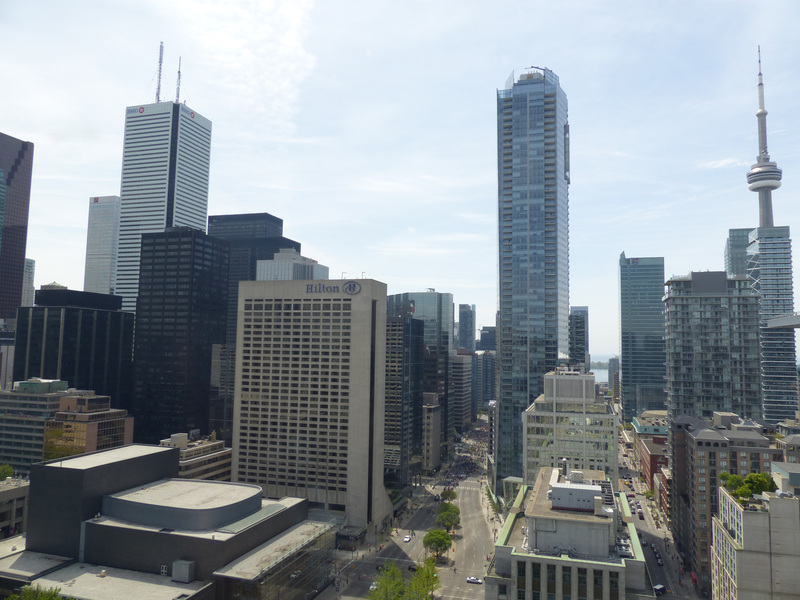 We got to go to the 27th floor, where a viewing platform offered a bird’s-eye view of Nathan Phillips Square below and views of downtown and the rest of the city. Back inside the building, we were able to view the Council Chamber and then take a look at the green roof. The rest of the building isn’t notable – anyone who has worked in local government will be familiar with the dour office setting for which there has clearly been no money to majorly update for some decades. Brown Bear points: 3 (not aesthetically pleasing like the Old City Hall, but we got a view and could take photos. More points could have been available if the windows at the viewpoint had been cleaned in the past 10 years, or in fact ever). 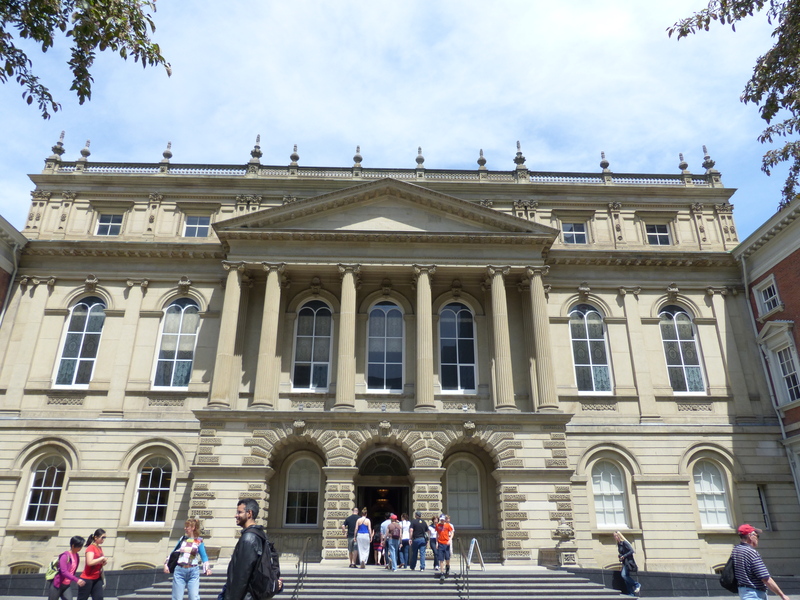 Situated between the city halls and the Canada Life Building is Osgoode Hall. 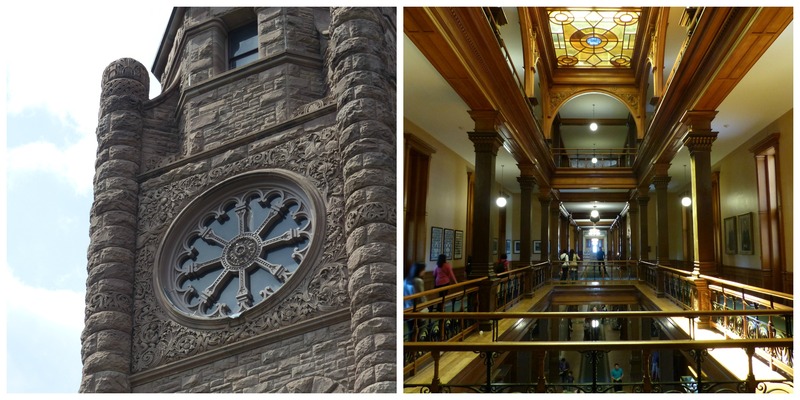 Since we were passing through its sunny grounds, we thought we might as well take a quick look inside this 1800s building, which is home to the Ontario Court of Appeal. Once inside, the hall revealed more evidence of fine masonry skills in addition to those on display at the Old City Hall. The centrepiece of the building is an atrium with a stained glass ceiling. Brown Bear points: 2.5 (admittedly we weren’t here for long, but there didn’t seem to be an awful lot to explore. Was pretty though). 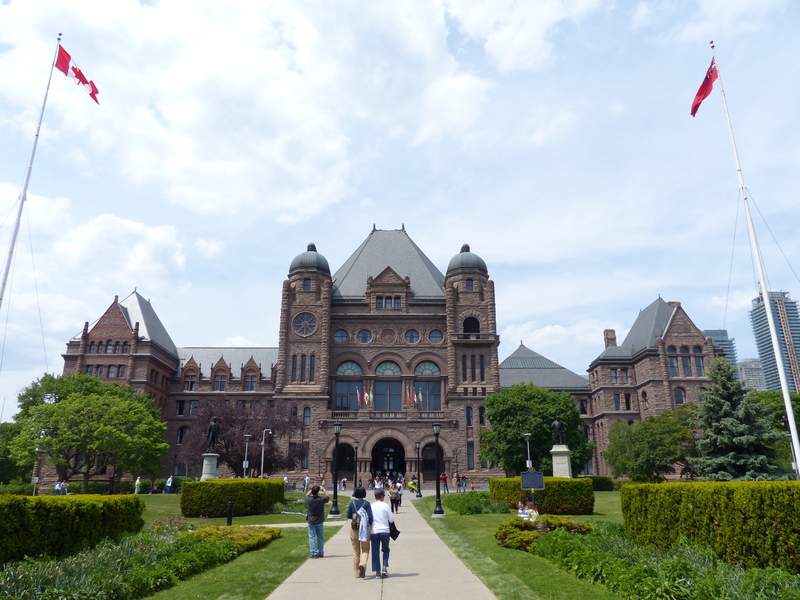 A short walk up from the Canada Life Building is the Ontario Legislative Building, which sits dominatingly at Queen’s Park. 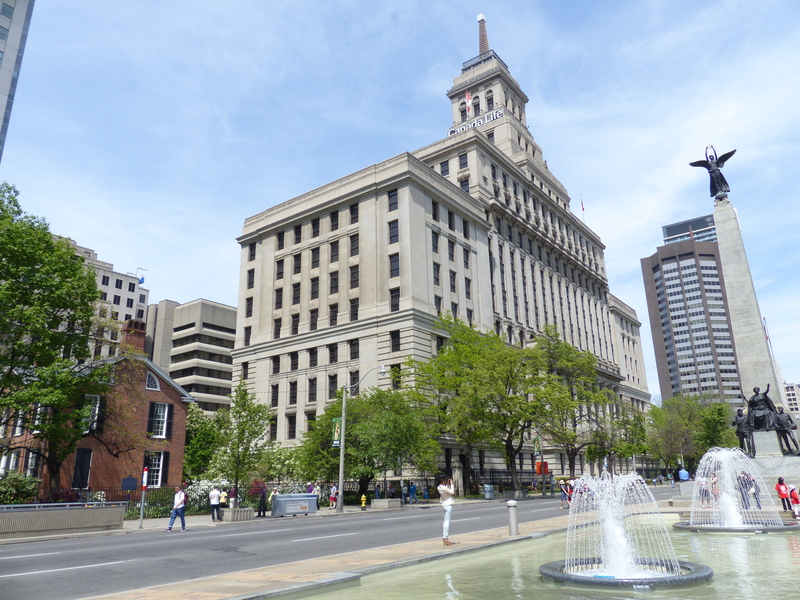 Built in 1893, the building is home to the Legislative Assembly of Ontario (otherwise known as the Parliament of Ontario). The building is both attractive on the outside and inside. There were some displays dotted around too – some of interest, some not. So there we have it, our winners are Redpath Sugar and the Canada Life Building! 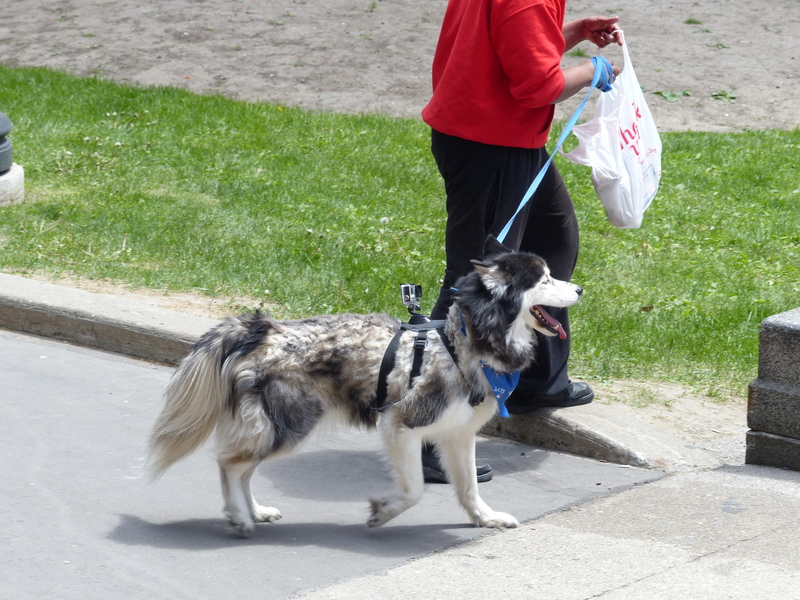 We also spotted this dog wearing a GoPro camera!